The measurements are just a guideline. Add more or less olive oil, lemon juice, salt, pepper or cheese to your taste. single layer on a sheet pan. Roast for 15 – 20 minutes, until cooked through and nicely browned. 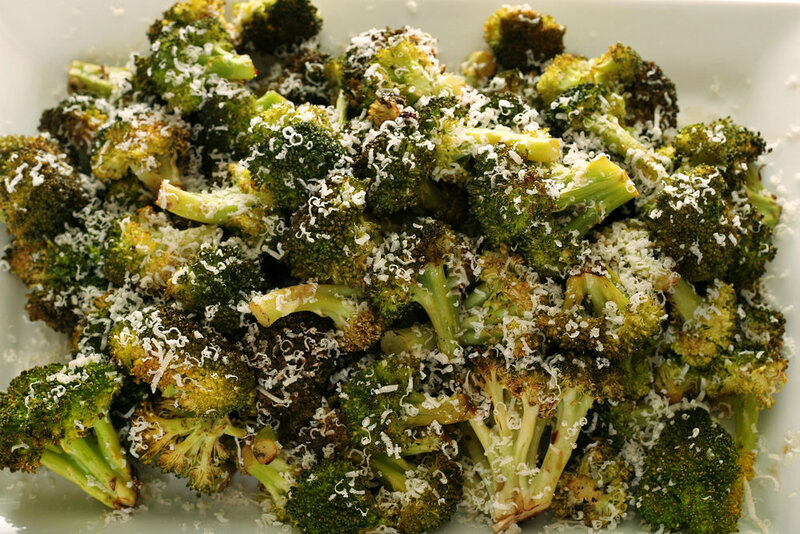 Remove the broccoli from the oven and toss with lemon juice, pine nuts and parmesan cheese. Serve immediately.